Experiencing a destination’s food is elementary to understanding its social structure and surroundings. 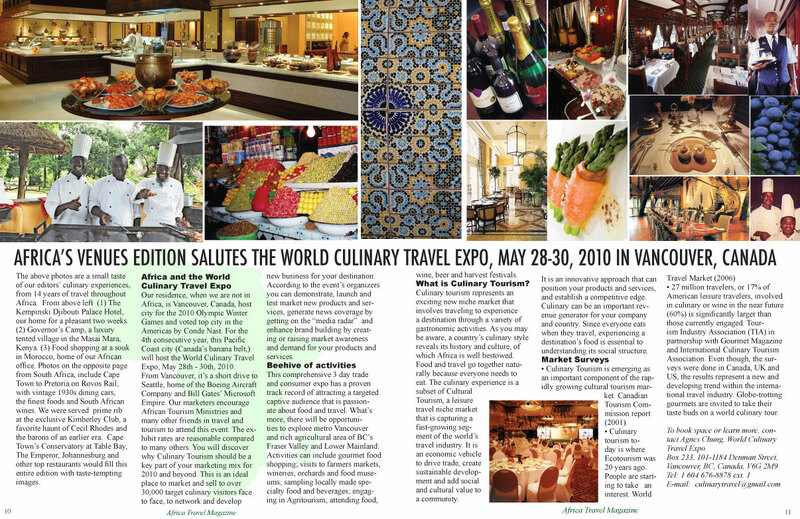 A new niche — Culinary Tourism — means traveling to experience a destination through a variety of gastronomic activities. A destination’s culinary style reveals its history, culture and influences. Culinary tourism today is where eco-tourism was 20 years ago; people are starting to take an interest. Showed that 27 million travelers, or 17% of American leisure travelers, involved in culinary or wine-related activities while travelling within the past three years. Bright future for the culinary traveler market, as the share of U.S. leisure travelers interested in culinary travel in the near future (60%) is significantly larger than those currently engaged. Even though, the surveys were done in Canada, UK and US, the results represent a new and developing trend within the international travel industry.